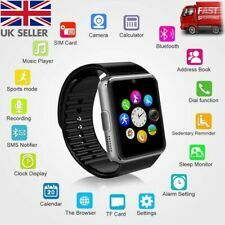 5 out of 5 stars - Samsung Galaxy 42mm 4GB WiFi Bluetooth NFC Smart Watch - Midnight Black. 2 product ratings2 product ratings - Samsung Galaxy 42mm 4GB WiFi Bluetooth NFC Smart Watch - Midnight Black. See the future you through this bright screen, even in strong sunshine. Long Battery Life: 2 weeks of normal usage. 1.5 hours fast charging. Bold style, seamless comfort. For example, Earphones, VGA Cable, User Manual. Samsung Galaxy 42mm 4GB WiFi Bluetooth NFC Smart Watch - Rose Gold. Hi, we are lemfo from China. Our main products are phone cases. BT 3.0 4.0 ( within 8-10m ), Compatiable with both IOS 8.0 & Andriod 4.4 or above. Unique design with Micro Sim card hide inside strap（Selectable SIM card version）. Hi, we are lemfo from China. Our main products are phone cases. Compatible System: Bluetooth 4.0, Android 4.4 and iOS 7.1 or above. 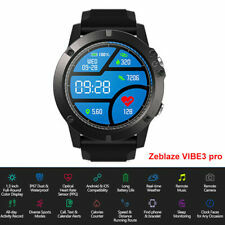 1 X T2 Smart Watch. Heart rate,blood pressure monitor. (Not included the Chinese Festival, such as the Spring Festival, hope you can understand.). Card Slot: Side plug (Support SIM card and TF card). Bluetooth Version: Bluetooth 3.0 & 4.0. Health Monitoring: Heart Rate Monitor, Sleep Monitor. Phone Functions: Independent Sim Card; Bluetooth phone call and SMS. Apple Watch S4 GPS 44mm 16GB Smart Watch - Space Grey Aluminum / Black Loop. Apple Watch S4 GPS 44mm 16GB Smart Watch - Space Grey Aluminum / Black Band.